Spring birds…and one red squirrel. Spring is an amazing time of renewal. Many of the birds are molting from their winter feathers to summer colors. The squirrels and chipmunks are busy eating up seeds and young leaves on trees so they can feed new babies. 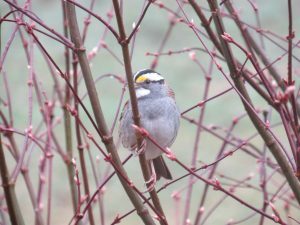 It’s a wonderful time of year to sit quietly, listen to bird song, and reconnect with the world around us. While it’s always wonderful to actually get out into nature and experience it first hand, studies have shown that seeing photos of nature has health benefits as well. 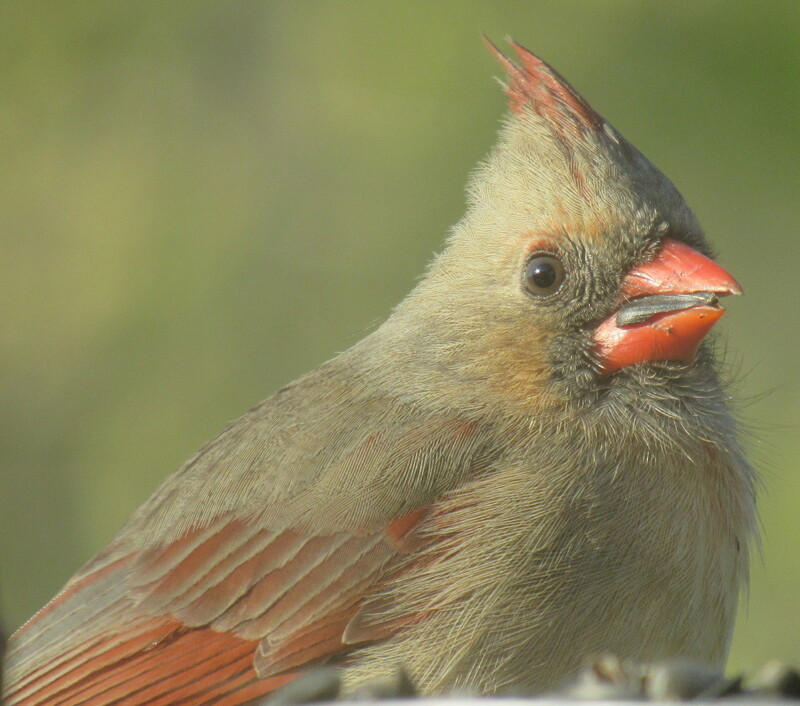 Enjoy the following pictures of our winged and four-legged neighbors. 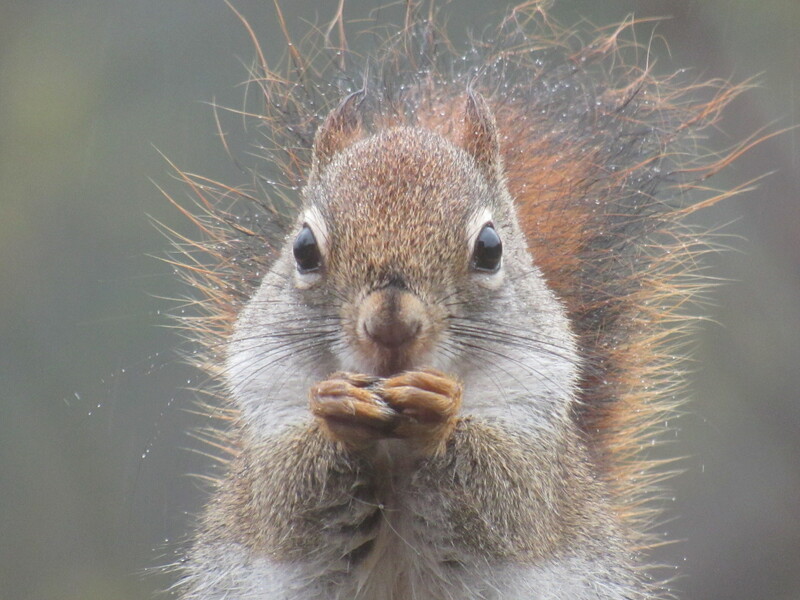 This little friend is a red squirrel, as you can see from the colors on her tail. 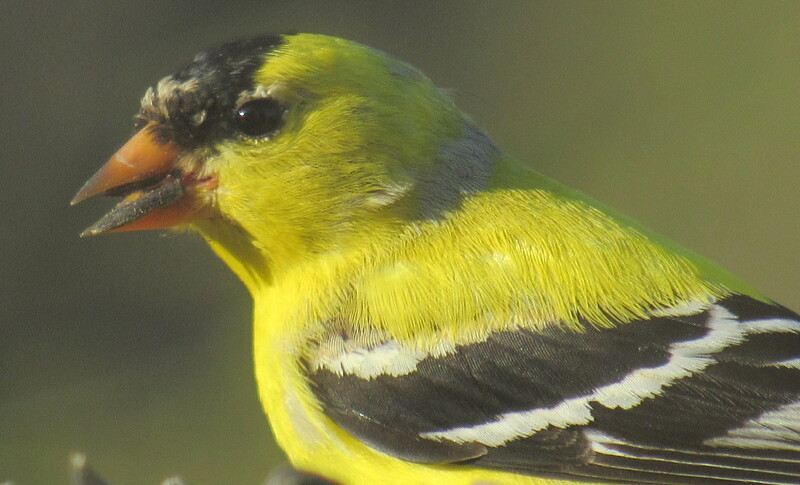 She was eating up sunflower seeds on a cool, rainy day in anticipation of having her babies soon. 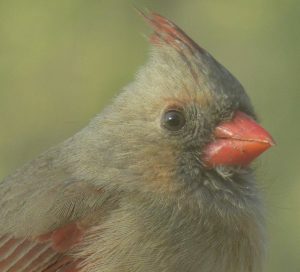 Cardinals are such beautiful birds. 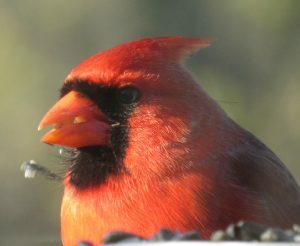 The males tend to get all of the publicity because of their bright red plumage. The male at the feeder this morning was especially brilliant. But the females are just as stunning in their own right. The subtlety of their colors is quite striking. 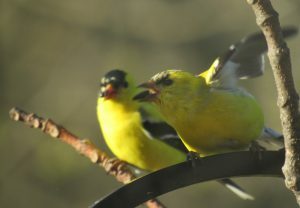 Gold finches were certainly aptly named. 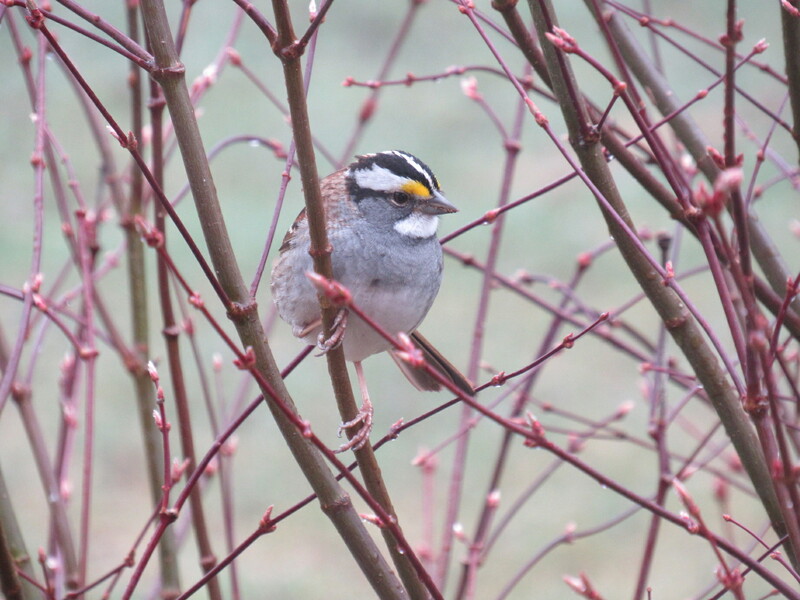 The black feathers on their heads and wings seem to accentuate the shining brilliance of their gold feathers. 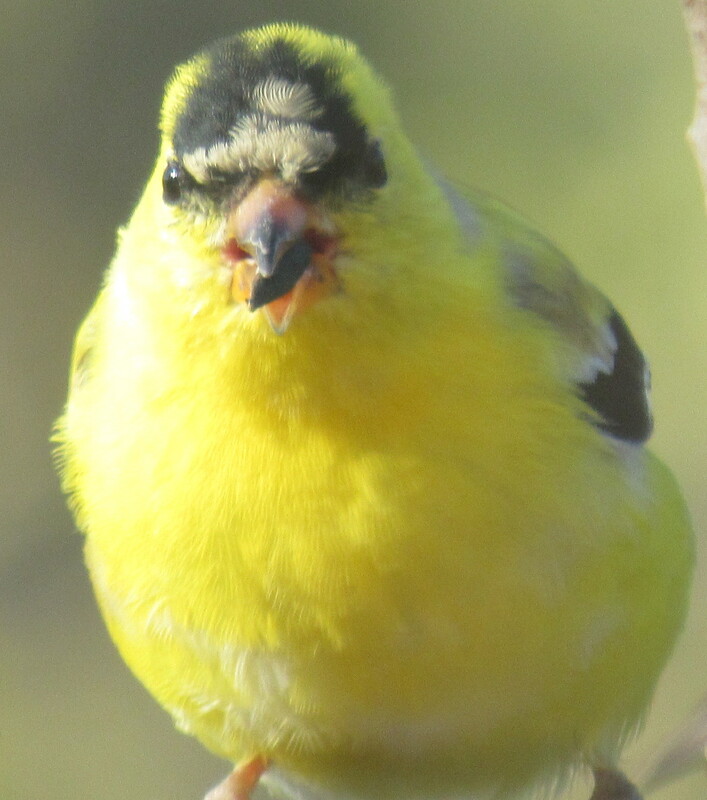 The males are especially bright at this time of year. Finches are quite animated and as you can see, they have no problem arguing over seeds. It’s always fun to see a species of bird you have never seen before. 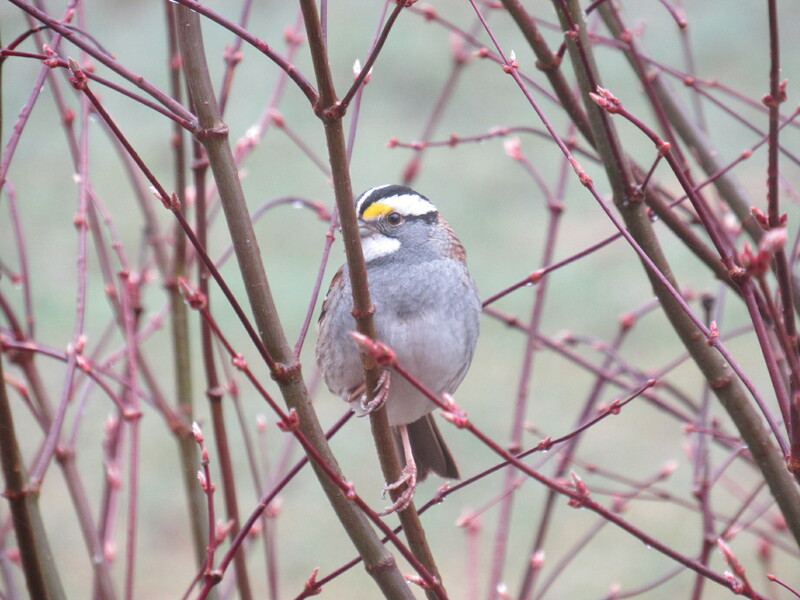 This bird appeared this week, and it was the first white-throated sparrow we’ve ever seen. 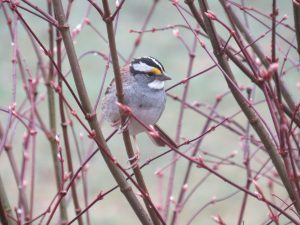 Thanks for visiting our blog and be sure to come back often to see more photos of the beautiful natural world in which we live.